Kanye West returned to Twitter this week to post aphorisms... and announce several new albums, including one from Pusha-T (left). It all started on Monday, when Kendrick Lamar won a damn Pulitzer Prize in music, the first of its kind awarded to any artist outside of classical or jazz. Word spread like wildfire on the web. Later that same night, J. Cole, whose fans are well-adapted to his unannounced releases, tweeted out the details of a surprise listening show at New York's Gramercy Theatre — "No phones, no cameras, no bags, no press list not guest list" — where he previewed his new 12-track album K.O.D., before announcing its Friday release five hours later. Oh, and Kanye West returned to Twitter, spitting out the deepest aphorisms this side of Deepak Chopra. ("Some people have to work within the existing consciousness while some people can shift the consciousness," is my personal fave. Go ahead and guess which one Kanye considers himself.) In an interview with his interior designer Alex Vervoordt, 'Ye promised his own philosophy book was on the way. By Wednesday, he'd informed us that the tweets we were consuming were, in fact, the book: "oh by the way this is my book that I'm writing in real time," he tweeted, because, why not? The news everyone was waiting for — and the only reason Kanye ever returns to Twitter — finally came Thursday when he cryptically tweeted a few release dates: "my album is seven tracks," he posted. "June 1." Coming from Kanye, of course, these dates could mean anything. Or nothing. 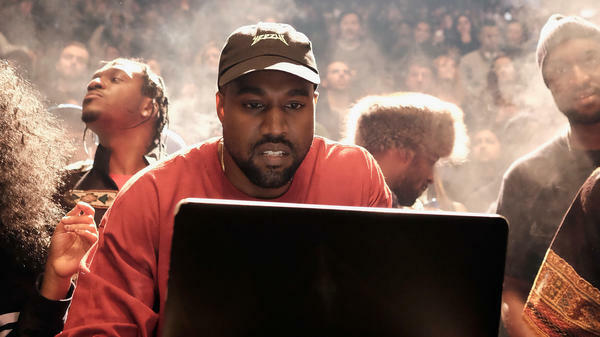 His last major release, Life Of Pablo, got pushed back several times from his originally announced release date, and he continued to tweak the album long after its exclusive release on streaming platform Tidal. But such is the ephemeral nature of hip-hop — or politics — today, where the formality of press releases has been usurped by the immediacy of informal tweets, complete with typos, unconfirmed info and the likelihood that all can be deleted at an artist's whim. (Surprise, snitches!) You almost have to wonder if the genre's biggest artists got together and plotted out this week in advance, you know, for the culture. If so, it's the biggest troll ever.